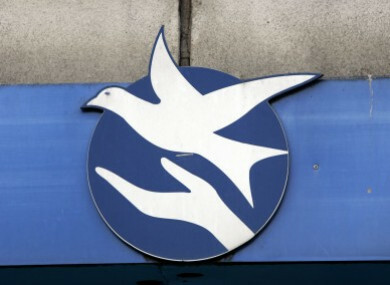 A PENSIONER WHO used two PPS numbers to steal more than €200,000 in benefits from the Exchequer over a period of almost twenty years has been given a suspended sentence. Catherine Simpson (72) fraudulently claimed Deserted Wives’ Allowance and the non-contributory State pension under her married name, while working a variety of jobs using her maiden name of Maguire. Simpson, of Avonbeg Court, Tallaght, Dublin pleaded guilty at Dublin Circuit Criminal Court to ten sample counts of social welfare fraud committed between 1998 and 2016, totaling €206,696.09. Judge Karen O’Connor sentenced her to three years in prison but suspended it fully, noting that Simpson felt “a great deal of remorse and shame” and had endured a very difficult life. The court heard that Simpson had fled to Ireland from England in the 1990s with her three small children to escape an abusive marriage, and had initially been entitled to claim Deserted Wives’ Allowance. However the fraud began when Simpson began working under her maiden name, paying PRSI and receiving benefits including Job Seekers’ Benefit, Illness Benefit and the Contributory State Pension. Simpson admitted claiming Deserted Wives’ Allowance, which was means-tested and included a Fuel Allowance, between 1 January, 1998 and 21 April, 2011. She further pleaded to claiming the non-contributory State pension between 22 April 2011 and 4 February 2016, as a basic-rate, means-tested payment with a Living Alone Allowance and a Free Fuel Allowance. Garda Nigel Daly told Sinead McGrath BL for the State that the fraud came to light in 2015, following the introduction of facial image-matching software by the Department of Social Protection. In December 2013, Simpson’s photo was put on the Department’s database under her married name, but two years later, her photo was registered under the name Catherine Maguire. Staff at the Identity Fraud unit of the Department of Social Protection realised they were dealing with one and the same person and handed the matter over to gardaí. When Simpson’s house was searched under a warrant in January 2016, she made immediate admissions and cooperated fully with gardaí. She said she had felt “increasingly trapped” by the deception and was deeply shocked by the accumulated figures. The court heard that Simpson, who has no previous convictions, is currently in receipt of the Contributory State Pension, which is being docked by €20 by way of repaying the State. To date, €1,060 has been repaid. Garda Daly said that Simpson had been “fully frank” and very cooperative, and noted that her bank statements over the years showed no evidence of the trappings of a lavish lifestyle, no large purchases or holidays. Sarah Jane O’Callaghan BL, defending, said her client realised that she would never be able to repay the State. “It’s a huge fall from grace, and she is very very humiliated and embarrassed,” said Ms O’Callaghan. The court heard that Simpson has been in recovery for alcoholism for more twenty years. She suffers from liver cirrhosis and other health difficulties. Letters were presented to the court from herself, her three children, her niece and her granddaughter, highlighting her deep remorse and her wonderful qualities as a mother and grandmother. A reference was also given from a previous co-worker in childcare, which praised Simpson in glowing terms for her caring nature. Judge O’Connor wished Simpson the very best and said it was noteworthy how her loving family held her in such high esteem. Simpson was instructed to keep the peace and be of good behaviour for three years. Email “Pensioner who stole over €200,000 in State benefits avoids jail ”. Feedback on “Pensioner who stole over €200,000 in State benefits avoids jail ”.